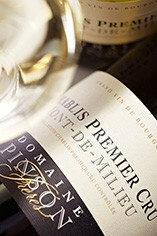 This is the domaine’s most substantial holding, its flagship Premier Cru. After a discreet start it displays a brilliant second half of the palate: a tannin or two at the back, lovely balance between the fruit (mirabelle and peach) and minerality, and an impressively long finish. The Wine Advocate - This wine was tasted blind at the Burgundy 2012 tasting in Beaune. 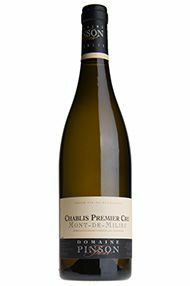 The 2012 Chablis 1er Cru Mont de Milieu from Pinson has a precise bouquet with light white peach and yellow flower scents combined with fine minerality. The palate is a little shrill on the entry but there is admirable tension thanks to its piercing acidity that drives it along to its mandarin, rosewater and sherbet tinged finish. This is such a pretty Chablis! Burghound - A subtle touch of wood sets off ripe and mildly exotic yellow fruit aromas that possess enough Chablis character to be persuasive. There is fine mid-palate density as well as ample minerality on the mouth coating middle weight plus-sized flavors that culminate in a bone dry and highly persistent finish. This is a classically proportioned Mont de Milieu.